Cover photo by Jon Luke. 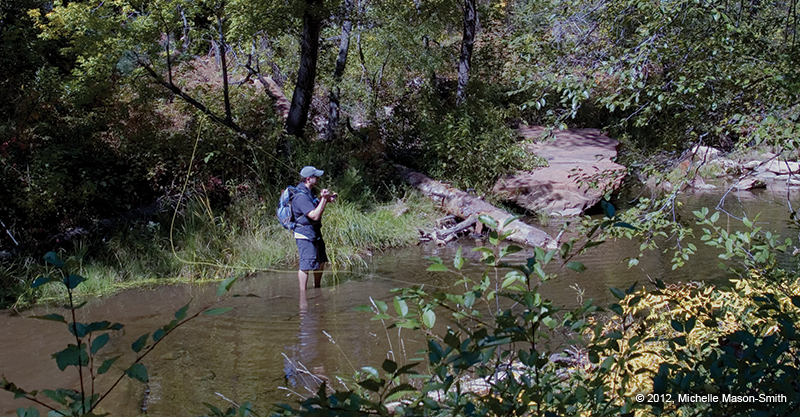 West Fork Oak Creek Trail 108, the gateway to Arizona’s Red Rock Secret Mountain Wilderness, may be the most popular hiking trail in the Coconino National Forest—and for good reason. Its famously scenic views create a sense of wonderment as painted canyon walls climb to dazzling heights. Just a short distance beyond this iconic gorge’s trailhead, anglers will discover the namesake creek, where, beneath a dense canopy of canyon maple and Gambel oak, the charming little stream ripples peacefully along the canyon floor. 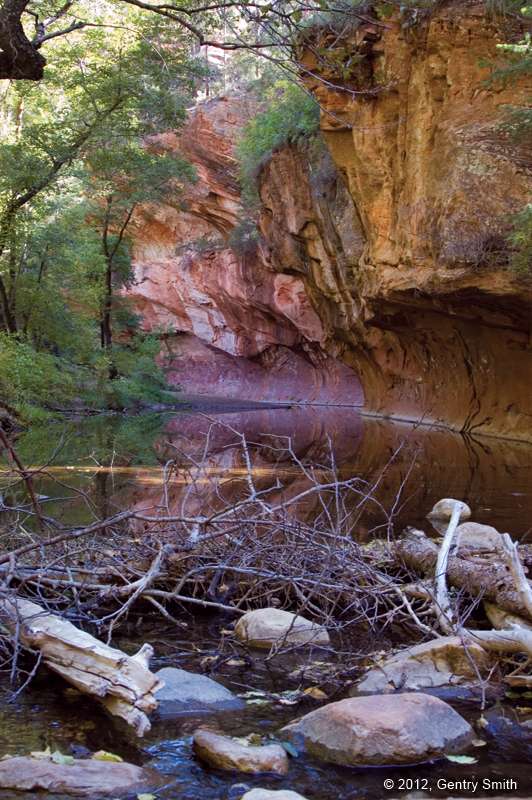 The West Fork is Oak Creek’s main tributary and a riparian refuge for migratory wildlife in an otherwise harsh desert landscape. The well-maintained trail frequently departs from the creek bed for long stretches but reconnects at several crossing points. The gently sloping terrain is easily traversed, providing increased accessibility. During peak seasons, this destination attracts a multitude of recreationalists daily. Nevertheless, reclusive fly fishers can still find solitude, despite the sometimes overwhelming crowds. The trail’s developed tract is limited to the first 3 miles before it enters a 9-mile, undeveloped, canyon-bound region where going farther requires hiking right in the water. Most of the day-hiking traffic dissipates before this point, leaving dedicated trout seekers ample deep pools, sprawling gravel beds, and areas of downed timber to explore upstream, with fishing steadily improving the farther you travel. 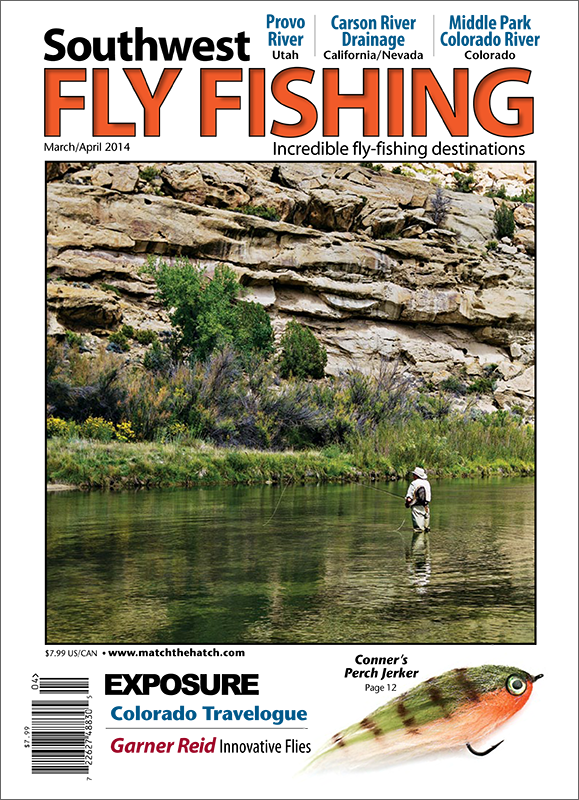 The West Fork is a delight to fish throughout the four seasons. 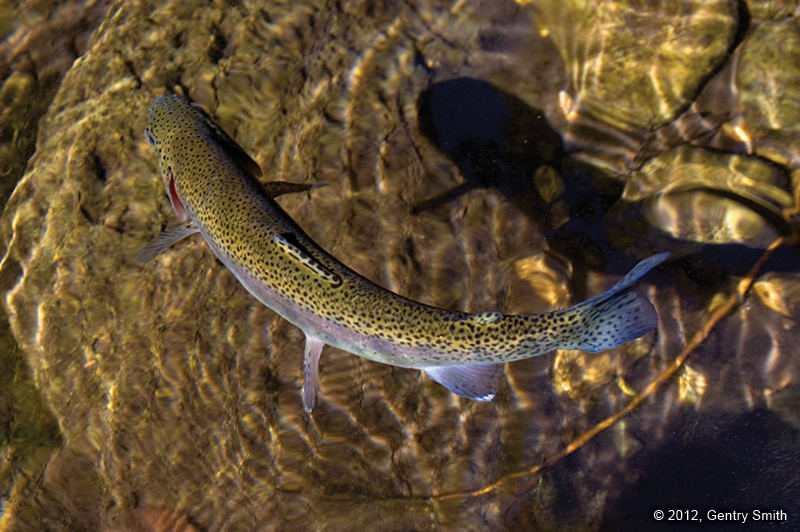 Spooky trout reward anglers, who execute delicate casts during prolific Blue-Winged Olive hatches, which occur in spring and summer. Autumn’s spectacular color bursts make landing richly-hued rainbows on bushy dry flies especially memorable. In the winter months, beneath the undercut snowy banks, wild, stream-born brown trout lie in wait, ready to ambush slowly drifting streamers such as leeches and buggers. The entire West Fork is catch and release year-round. Light tackle is your best choice for this technical, clear-water fishery: short 3- and 4-weight fly rods with light leaders are ideal. Wet wading during warm months provides anglers welcome relief from the Sonoran heat. Your fly selection may vary from day to day, probably the result of the stress these fish routinely experience. Be prepared to offer a wide range of dries, nymphs, and streamers to these picky eaters. Monster fish are uncommon on the West Fork, so your expectations should be tempered accordingly. That said, larger fish do occasionally put monster grins on anglers’ faces. To reach the West Fork, follow State Route 89A—either south from Flagstaff or north from Sedona—and look for the signed turnoff that leads to the park’s paved entrance on the west side of the road. There is a day use fee of $9 per vehicle (good for up to 5 people) or $2 per person for walk-ins. In lieu of these entrance fees, anglers may present their Grand Annual Red Rock Pass ($40/annual) or their Big Three Pass ($18/week, $40/annual). But note that this area may be temporarily closed during periods of elevated fire danger.